Today we review the social media app named Jestr. 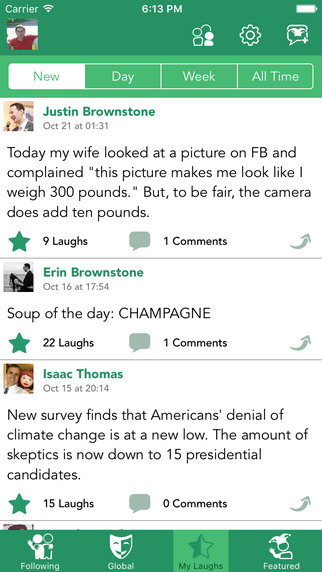 Jestr is a social media app built by comedians, but it’s for everyone. Share jokes with your friends and links to online content that make you laugh, check out the top trending humor among your friends and the world, and discovery jokes by new, rising comedy stars. Think of it as social media without all the negativity. Do you think your friends aren’t funny? Than the Jestr App is probably not for you. 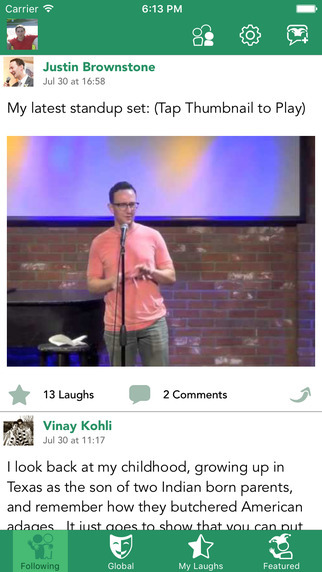 If on the other hand your friends are rising comedy stars than the Jestr App is definitely something you should download. The app lets you share jokes with your friend or that hilarious video you found on Youtube. The IOS App gets a 5 out of 5 rating out of 15 reviewers. To me this app seems like a great idea. Who else gets tired of the endless rants and raves on social media. 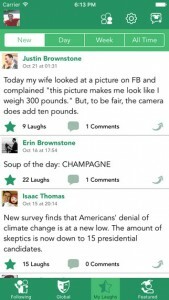 There needs to be more comedy in everyone’s life and this app may just succeed in this pursuit. 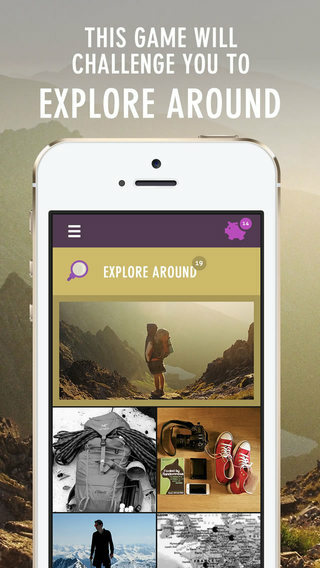 Every once in a while we review an app on CashSherpa.com that really impresses us. 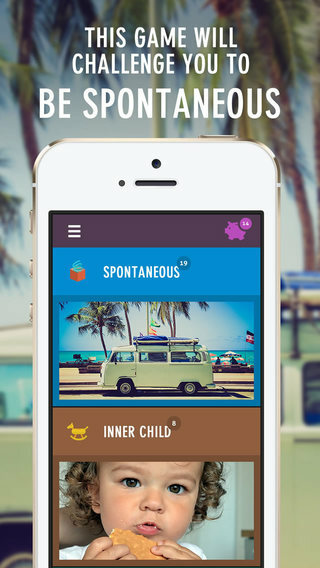 The Garagua photo challenge app compatible with iPhone, iPad, and iPod touch is one of those apps. Playing Garagua photo/video challenges will give you amazing ideas how to have fun when you are bored, need to express yourself or want to spend interesting, exciting and unforgettable moments with your family, friends, kids and even strangers. Share how you complete those challenges and get a lot of likes and comments from everybody. Garagua challenges you to open the family album and take a photo of your first picture ever, to put on different socks for a day or to make a poster for your next birthday. Meet those challenges and many more, and have lots of fun while doing it. All versions of this app get a 5 out of 5 stars based on 62 ratings. Garagua brings back the long lost ‘social’ in social networking. Someone said all the magic happens when we leave our comfort zone. You will achieve that in a friendly and fun way with Garagua. It is interactive, it is dynamic, and it is social. Ever thought about encrypting your text messages or any other text on your mobile phone? Well you’re in luck because there’s an app for that. The iPhone and iPad app is called Paranoia Text Encryption. The Paranoia Text Encryption app is a universal and secure encryptor for your messages, notes, chat posts and any other texts. 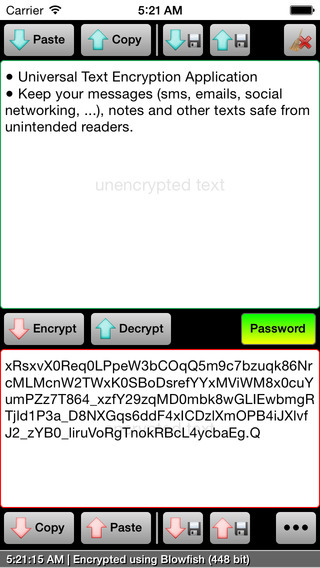 Paranoia Text Encryption is the universal text encryption application for iOS (iPhone/iPad/iPod) by Paranoia Works. Paranoia Text Encryption keeps your SMSs, emails, social networking posts, notes, and any other text safe from snoopers, hackers, and prying eyes. I could see this app being especially useful for businesses who want to keep their company information safe. 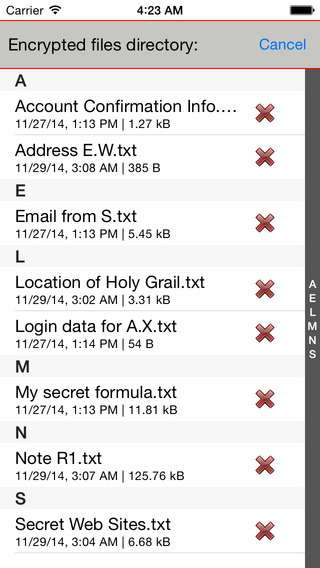 Right now there are no reviews of the Paranoia Text Encryption app, but it is free so it’s worth at least trying out. Music is an art which helps you escape reality. Listening to tracks and exploring new music genres, you can forget about your inner or surrounding problems, dive deeper into the pure sound and then come to conclusions you couldn’t face before. In this case music perfectly works as a kind of meditation. 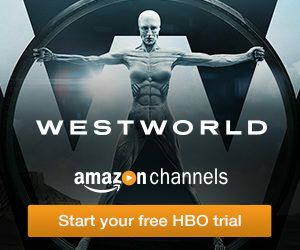 But what a bad thing: it is not always free, especially when it comes to iPhone. But on the other hand there still exist some free ways to get a lot of tracks and listen to them afterwards, and one of them is called Freemake Music Downloader. If you open the app you will discover that these seas of music discoveries are available here for free. You are able to enter the name of every song, band or artist in the search bar. This means that you will see a lot of tracks, all organized in the list for you to download. Search, listen & download MP3s. Free & legally. Play favorite songs offline, without Internet. All versions of the Freemake app get a 4 1/2 out of 5 stars. 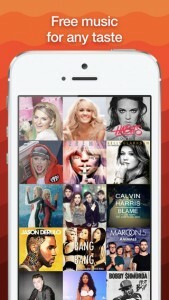 The Fremake app searches the internet for free songs, gives you the ability to play those songs without the Internet. 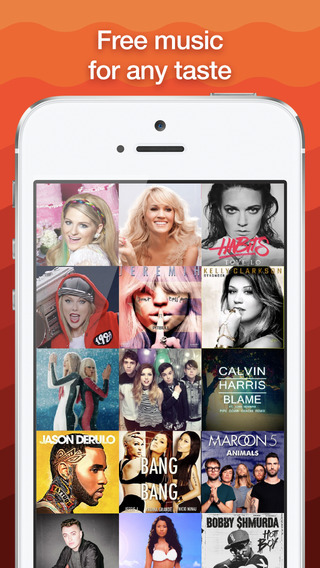 This app will definitely save you some money by not always buying music through iTunes. Looking to edit Microsoft Office Word Processor and Reader documents on iPhone and iPad? If you answered yes then you may want to look into the Document Writer App. 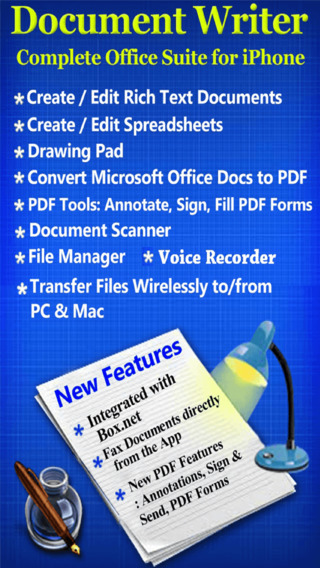 Document Writer is one of the best ways to edit and manage documents on your iPhone or iPad. 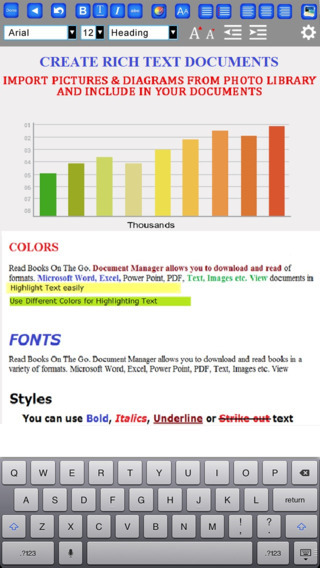 Create and Edit Rich Text Documents on your iPhone or iPad. With the Document Writer App you will also be able to create and edit spreadsheets. Other things app can do include creating and editing spreedsheets, drawing pad, converting Microsoft Office Docs to PDF, PDF tooks, doc scanner, file manager, voice recorder, and app has the ability to transfer files wirelessly. To download visit the Apple App Store. Just in time for the holidays Swappi is here! 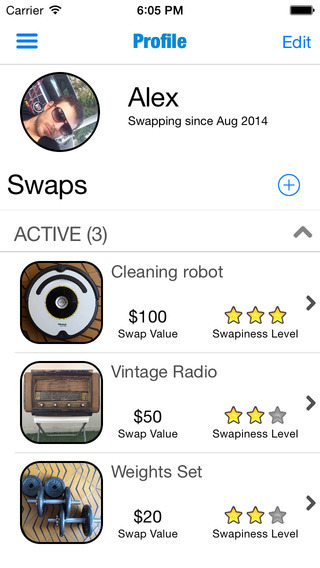 Swappi is simple and fun way to swap items that you no longer need into things that you are actually interested in having. What can you swap? Turns out with this Apple App you can swap almost anything. On Swappi swap smartphones, electronics, furniture, books, shoes, and even cars. This is a great idea especially around Christmas time. I could see someone using this app instead of going to Goodwill donate. Just go on Swappi and swap items you no longer want with something you do. Compatibility: Requires iOS 7.0 or later. 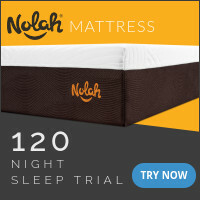 Compatible with iPhone, iPad, and iPod touch. This app is optimized for iPhone 5. If you want to check this app out check out the Apple iTunes.